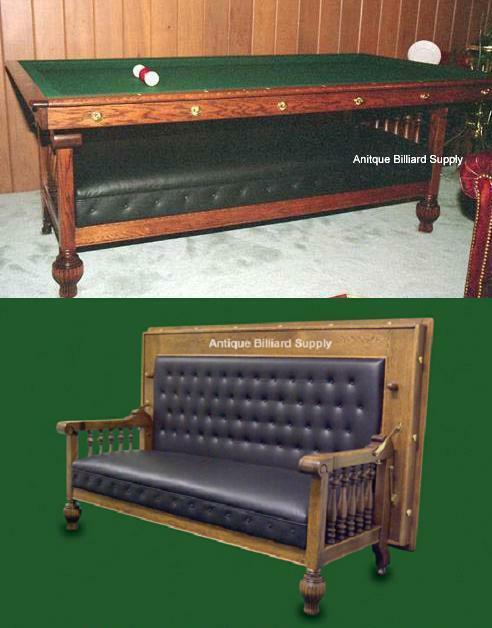 #1-12 Rare Brunswick antique pool table in the form of a combination couch and billiard table. Constructed in the 1800s of solid oak with “acorn” designs on the legs. Back folds down easily to form 7-foot regulation billiard table. Slate playing surface with adjustable leveling devices. Ready for delivery.